Missing the tax extension deadline could cost you big if you owe the IRS money. You’ll be paying a late filing penalty of 5% the tax you owe per month, or up to a total of 25%. You’ll still be hit with a penalty if you underpaid your taxes and then filed the extension. However, it’ll be 0.5% of what you owe per month, instead of 5%. Do whatever you can to get your taxes in by that deadline so you can avoid piling up penalties. Finally, there’s another reason to file on time. Filing past the tax extension deadline means you can’t file online. Therefore, you’d have to send your taxes in on paper. Doing your taxes on paper leaves room for more errors, a longer delay in your taxes being received, and potential for your personal information to be lost in the mail. Until the October deadline comes, you can still file online. See your options here. You may be eligible for tax relief if you live in an area affected by hurricanes or other natural disasters. 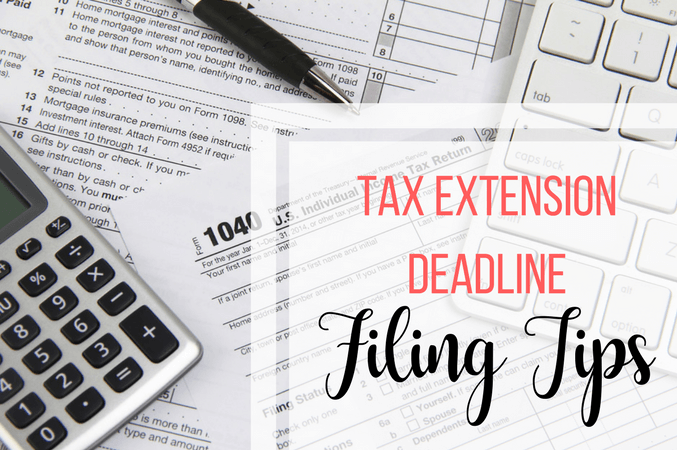 Therefore, the IRS may have granted you additional time to get your taxes in beyond the deadline if you filed an extension. The same goes for anyone required to file quarterly payments. Check the IRS disaster relief page to see if you qualify. Use this as a lesson to help avoid needing an extension next year. What caused you to consequently need more time? Sometimes things come up, you find that you’re missing important documents, or maybe you just waited too long. Save yourself the headache of needing an extension next time. Take proactive steps so you can get your taxes filed in the spring. Read my tips here for hitting that deadline.